Our dedication to customer service is stronger than ever. Let us know how we're doing by submitting feedback online. Been to Metro Billiards lately? Did you know we've completely renovated our space? Check out the photos in our galleries. 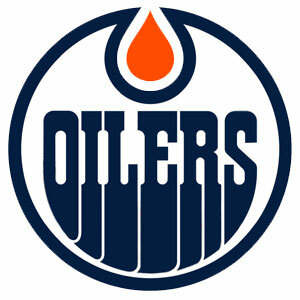 Looking for a party venue in Edmonton? Metro Billiards is the venue of choice for birthday parties and Christmas parties. Metro Billiards is more than a place to play pool. It's a place to meet, eat, host and play in an environment that caters to corporate, casual and cool crowds. 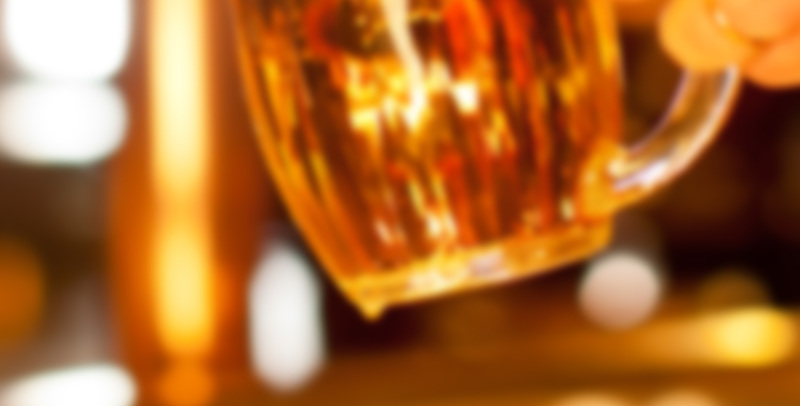 We've renovated our space, updated our menu, and boast one of the best global-beer lists in Edmonton. Mere steps from the new Ice District, great things are happening at Metro Billiards. PERFECT CUES, TABLES & LIGHTING. 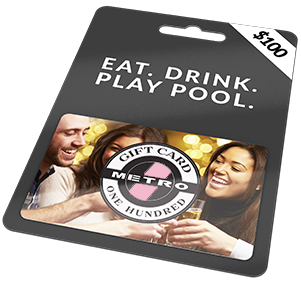 give a metro gift card!can be used for food, drink & pool. Follow us on facebook to get first dibs on just about everything @metro! 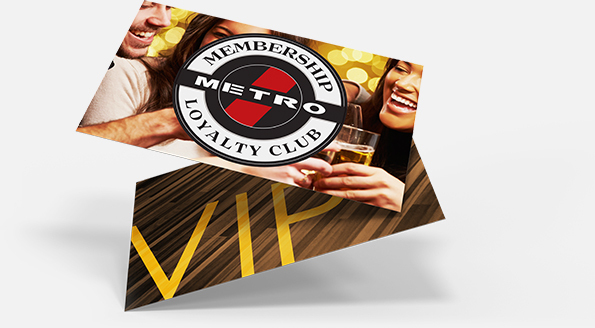 Join the Metro Billiards loyalty club and earn rewards such as discounts on food, pool, and invitations to exclusive VIP events. A lot's changed at Metro! We recently renovated our 10,000 sqft space top-to-bottom (don't worry, we kept the award-winning nachos and billiards!). Come by and see all that's new @ Metro Billiards! Christmas parties, birthdays and more!